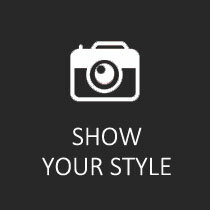 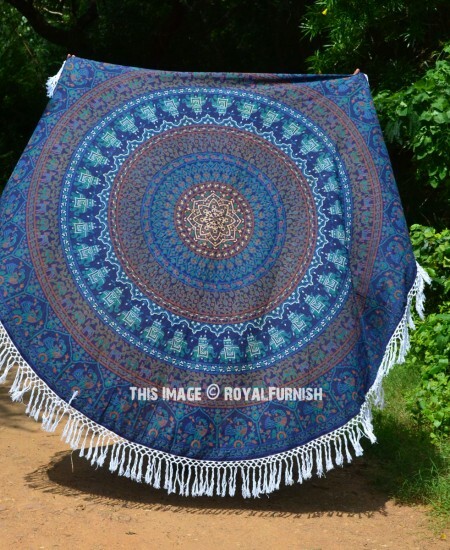 Are you planning to spend entire day at beach? 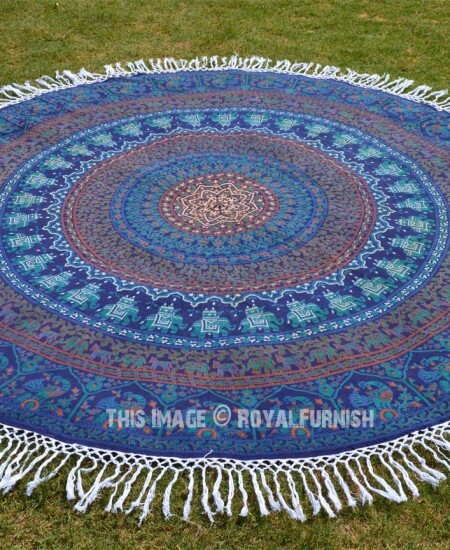 We bring you gorgeous, big size, soft and light weighted round beach towel which features elephants, birds, flowers medallion mandala circle that is also known as “Mandala roundies”. 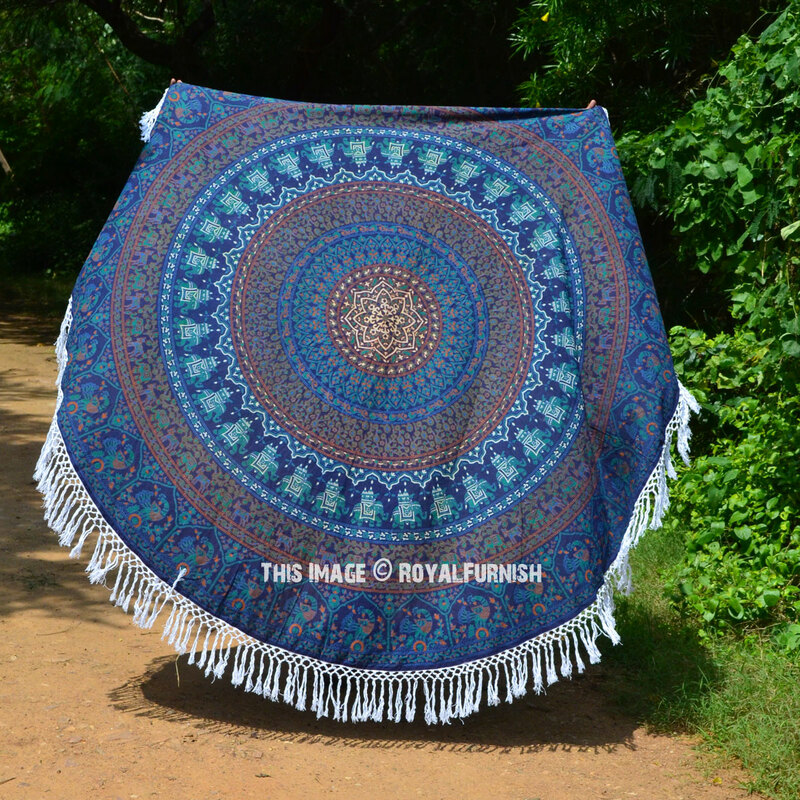 It is 100% cotton, thick and heavy texture round sheet but still it is light weighted beach towel. 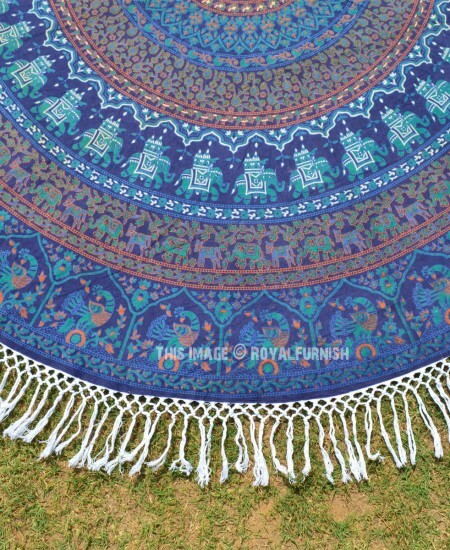 The colors are very bright and vibrant as shown into the picture. 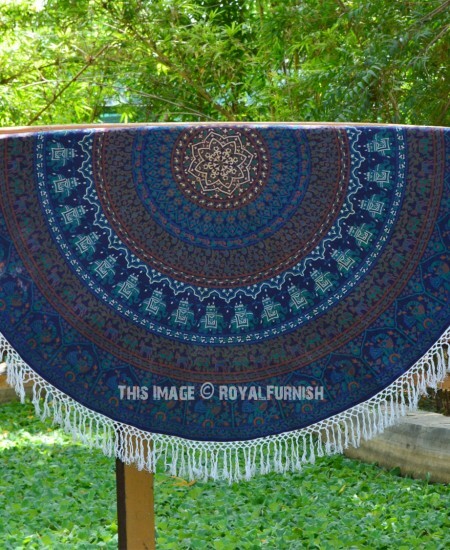 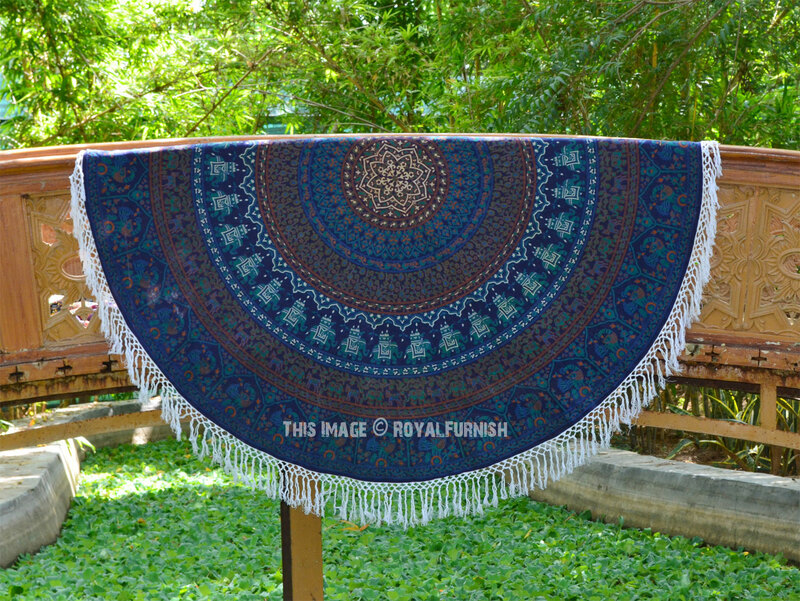 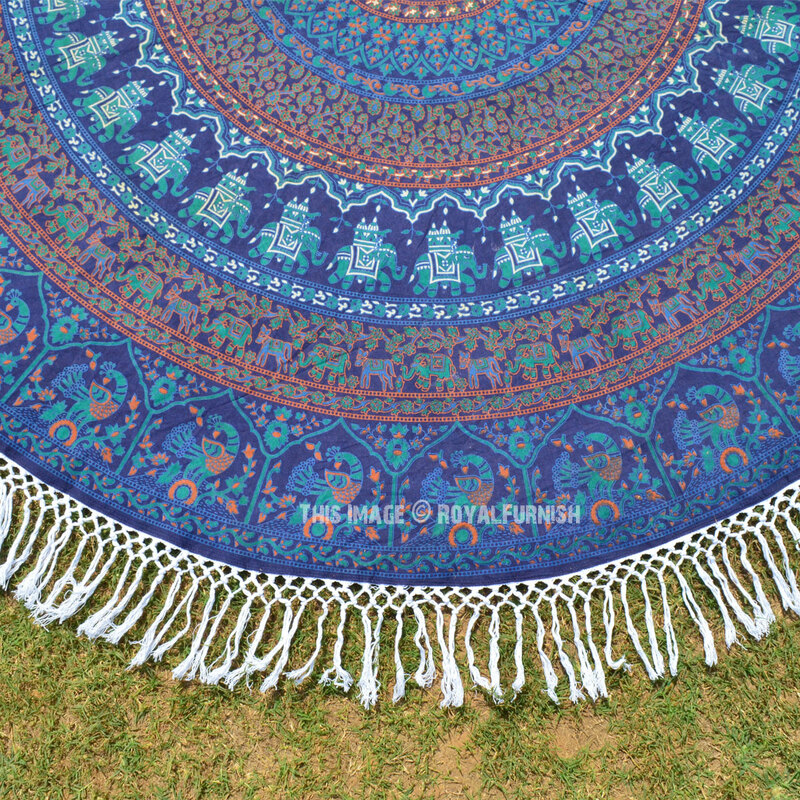 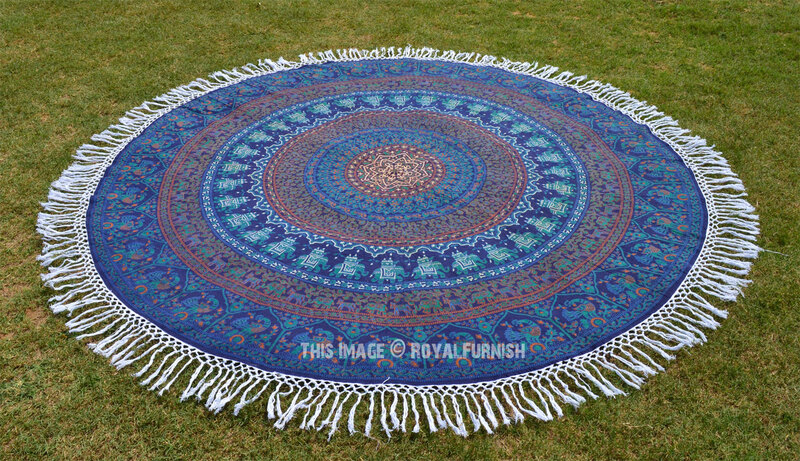 Blue Multi Royal Elephants Birds Floral Medallion Mandala Roundie Beach Throw added to the cart!